Are you look for a fantastic holiday opportunity? Are you tired of staying in hotels and not having a permanent residence in a location that you love? Whitehouse Leisure Park is offering affordable luxury in North Wales. We have a variety of new and used static caravans and lodges for sale to people that want to turn an idyllic location such as North Wales into their personal playground for exploration. Our caravans start from around £10k and often include site fees. Our stock constantly changes, so make sure you check out our caravans for sale page to find a fantastic deal that you can turn into a new holiday home. Static caravans can be a fantastic investment because they’re great money savers. Although the initial cost of a static caravan can be high it will easily save you money on future holidays. The atmosphere is relaxing compared to other holiday destinations, and there are plenty of friendly locals to interact with. Make friends with your neighbours, share common interests, eat dinner and enjoy your holiday together with like-minded families who are also proud owners of their own static caravan. So the next time you plan to go on a holiday, come and visit North Wales instead and stay in your own private static caravan. Not only are static caravans great money savers, but they also give us back a sense of freedom while travelling. Most people that go on holiday end up being guided around by a tour guide that knows the area like the back of their hand. While their knowledge is appreciated, it ultimately strips the freedom that you have when going on a holiday to a country for the first time. A static caravan lets you do what you want when you want. If you’re worried about the cost, then you’ll be glad to know that we offer flexible payment options for our static caravans in addition to some of the most competitive pricing you’ll ever see for holiday homes. Simply enter your details on our Holiday Home Finance page and we’ll get back to you as soon as possible with interest rates and additional information that will be relevant to your purchase. We can’t guarantee that your application will be successful, but we’ll do our best to find a static caravan that fits your budget and ticks all the right boxes. Holiday home ownership has never been this easy or affordable, and over the years, we’ve helped many people join our wonderful community. For more information, don’t hesitate to contact us on 01745 832112. Alternatively, shoot us a message on Facebook or via our email at sales@northwalescaravans.co.uk. We’ll be happy to offer any advice that you may need and help you from start to finish. If you want the ultimate in comfort and luxury, then take a step up from our static caravans and indulge in our unique selection of holiday lodges. These are investments in comfort and are our top holiday homes to purchase. Holidaymakers all over the world travel to Whitehouse Leisure Park in order to experience all of the luxuries that we have on offer, and it’s easy to see why when you take look at what we offer. Whitehouse Leisure Park is located within walking distance to the nearest beaches. In some areas of the park, you’re able to step out of your front door and plant your feet on the sand—that’s just how close we are! With popular seaside resorts near our leisure park and plenty of local amenities and luxuries, you don’t find a more relaxed holiday anywhere in the world. The lodges are fitted with several bedrooms, a fully-fitted kitchen and other domestic appliances such as a fridge, a hob and even an oven. The lodges themselves are spacious, making it perfect for when you invite people over such as your neighbours or family. There’s even a dedicated parking space which belongs to the owner. However, that’s not to say that North Wales can’t cater towards younger or more daring crowds. The area around Whitehouse Leisure Park has been developed into an adrenaline-filled playground. There are zip wires, mountain climbing and more extreme sports activities to indulge in. For younger children or more relaxed and laid back adults, there are funfairs, go-karting and more to enjoy. There’s never a shortage of things to do in North Wales, and a private holiday lodge is a perfect place to stay during your visit. Much like with our static caravans, it’s possible to purchase a holiday lodge that is both stylish and practical without going broke. The same financing options that apply to our static caravans also apply to our holiday lodges. If you’ve got the itch to purchase a holiday home here at Whitehouse Leisure Park, then we’ll have the right financing deal for you. Simply fill in the form on our finance page and we’ll quickly send a reply back telling you if you‘ve been accepted or not and what options we have available to you. Please remember that you are not guaranteed to be accepted with our financing options, but you are still able to pay the full price in a single sum. Owning a luxurious private second home is fantastic for holidaymakers, and it’s the perfect excuse to head out more with friends and family. 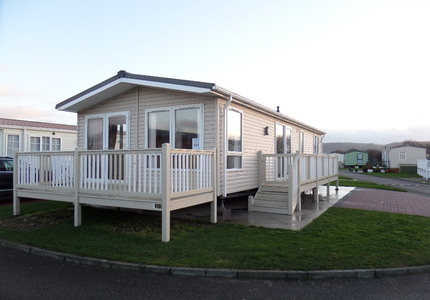 Even though Static Caravans and Lodges can cost a bit, Whitehouse Leisure Park offers plenty of advice and will help you find your dream holiday home. If you’re interested, why not have a look at our available stock of new and used Static Caravans and Lodges for sale here. Then contact us via our Contact page or call our sales team on 01745 832112.